The most balanced of the models. This has the thickest handle and long thin barrel. This makes a very easy to swing bat with a large sweet spot and great durability. The trade-off is less power. The most popular-selling bat of all time. This has a thick handle with a long cone barrel. It is easy to swing and has some pop because of the slight end-weight produced by the cone barrel. A very neutral bat. It has a medium handle and a medium barrel. It produces medium power with a medium weighted feel. The most comprimise between power and ease of swing. This is a fairly neutral bat, bordering on end-weight. It has a thin handle and medium barrel. This combination makes the bat lighter, but still has the mass in the barrel for power. This is a fairly neutral bat, bordering on end-weight. It has a medium handle, and a long medium barrel. This produces a sturdy bat with a large sweet spot. This is a truly end-weighted bat. It has a thin handle and large and long barrel. It has lots of power and a large sweet spot. The drawback is that its balance makes it difficult to swing. This is a truly end-weighted bat. It has a thick handle and a large and long barrel. This is a beast of a cut that makes a very heavy bat, and therefore used mostly with the lighter woods. What is "drop"? Weight is often represented by "drop" rather than the actual weight. The "drop" refers to the difference between the length (in inches) and the weight (in ounces). A 34" bat that weighs 31 oz. is said to be "drop 3" or (-3). Here is a chart for determining a suggested bat length based on the hitter's height and weight. The most common finish is lacquer. It provides protection from moisture and can add a glossy shine. Lacquer is also available in satin and semi-gloss finishes. Satin is commonly used for Vintage bats when you want to protect the wood, but have a more natural non-shiny wood look. Wood can be left unfinished, but as a bat ages, the wood absorbs moisture then dries, which will eventually split the wood. 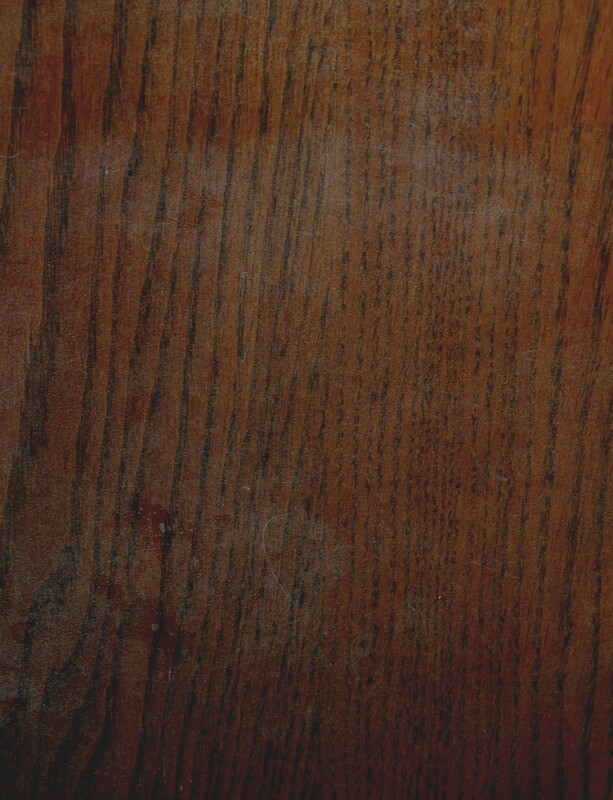 Unprotected wood splits usually occur in the barrel, which is why it is becoming more common to seal the barrel and leave the handle unfinished, for those that prefer the feel of bare wood in their hands. Often, players apply pine tar to unfinished handles, which also acts as a moisture barrier. Hot Brand is a block of steel heated by fire then applied directly to the wood, burning in the logo. When done properly, this leaves a slight depression and colors the wood by scorching. However, this technique is very difficult to do accurately by hand. Close inspection shows that sometimes the placement of the label is not perfectly aligned with the grain. Also, if the cut of the bat is concave at the trademark, some spots may receive less burn than others. These "imperfections" are usually slight, and with vintage-style bats they add character and authenticity (there was no laser engraving in 1860). Because of the time involved, hot branding accounts for about $5 of the bat cost. Labels come in a variety of colors and are most commonly used for modern bats. This is the most appealing look of the trademark options. We usually stock Black, White, Metallic Silver, and Metallic Gold. Other colors can be ordered with a minimum 10 bats. In addition, for a small setup fee, the Cass River Lumber Co. logo can be replaced with your team logo. Labels also account for about $5 of the bat cost. These are laser-cut vinyl adhesives with great durability and professional look. Stickers are computer printed on a full sheet transparent label, then cut by hand into an oval. The clear label is barely noticeable on lighter color bats, but is quite visible on dark bats. The main consideration is cost; stickers are less than 10 cents each. Stickers are normally used on bats with no color when trying to minimize the cost of a bat. Over time, stickers may crinkle. Lettering on the barrel is possible, but at this time we do not offer laser or CNC mill engraving. The most common lettering is done by hand with punches. Punches are pieces of steel about the size of a crayon with letters in the end like typewriters. Put the letter in place and tap it with a hammer. Because it's done by hand, there will be some variation to the alignment and spacing. Black ink is then used to offer a color contrast. Another option is the sticker; the same technique used for trademarks. The advantage is computer-printed lettering with a variety of letter style and sizes, even graphics. The drawback is the sticker itself. Cass River Lumber Co. has 7 species of wood in stock. Ash and Hickory are open-grain woods. This adds flexibility to the swing, which is more forgiving when making contact outside the sweet spot. Hitting with the face-grain provides SLIGHTLY more power than hitting with the edge-grain, but greatly shortens the life of the bat. For this reason, it is preferable to hit with the edge-grain. Birch and Maple are closed-grain woods. These bats are more rigid. Some hitters feel this hits the ball harder off the sweet spot (science does not agree, but some hitters swear it does). Closed-grain wood is equally strong on the edge or face-grain. However, if a bat breaks from an edge-grain hit, it dangerously explodes into shards. Therefore, it is prefereable to hit on the face-grain. Science indicates is it simply the weight of the bat, not the hardness of the wood, that hits balls harder. Swing a heavier bat (at the same speed) and the ball will go farther. Coincidentally, hardness and heaviness go hand in hand. As wood gets harder, it also gets havier...so an expression of one, is also the expression of the other. Best suited for 10-and-under, or teens and adults that want a very light bat. These are the medium weighted bats, mostly producing -3 bats. Best suited for most teen and adult batters. These range from medium to extra-heavy. Typical bat shapes produce -2 to +3 bats. These are light bats. Typical bat shapes produce -4 to -6 bats. These range from medium to heavy. Typical bat shapes produce -3 to +0 bats. Best suited for good teen and adult hitters that want a slightly heavy bat without being a club. Well suited to 12-and-under hard hitters, teens, and adults that want a slightly light bat to use against fast pitching.